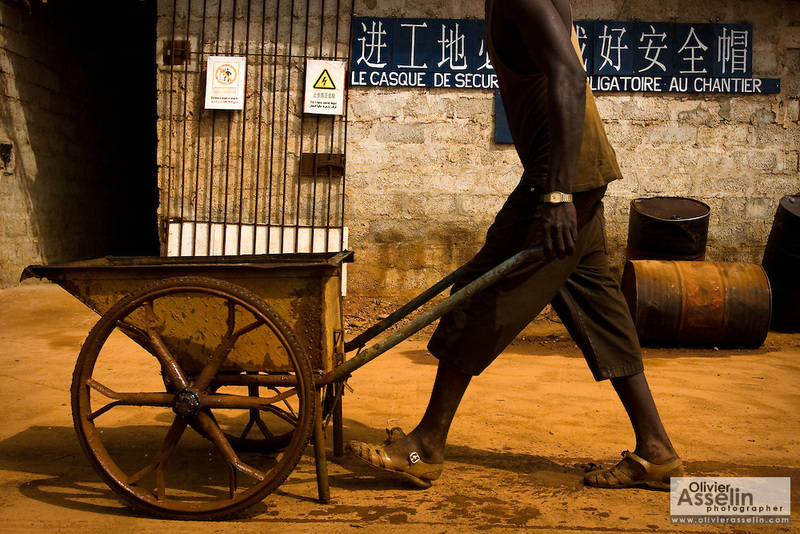 A Guinean worker pushes a wheelcart past a sign written in both chinese and french on the construction site of a new 50,000-seat sports stadium in Conakry, Guinea on Friday March 6, 2009. The project, an investment of about USD 50 million, is a gift to Guinea from the Chinese government. (Olivier Asselin for the New York Times).